If you can't come in for the show. Look through her web site and call us with an order. 20% off during the show! Love these 3 dimensional birds. Look on their web site and place a phone order if you can't come in to the shop. 20% off canvases during the show! 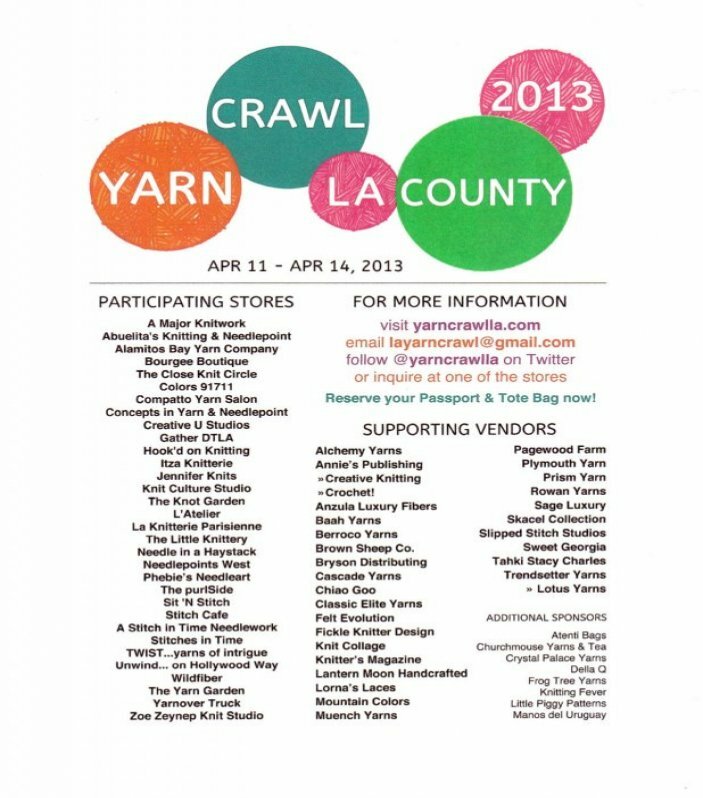 Our other big event is the LA County Yarn Crawl. We will be open each day from 10 - 7 during the Crawl. We will have special kits available for purchase, free patterns, a chance to win a basket of goodies and of course refreshments. Go on line to yarncrawlla.com for more information and to purchase your passport.